About 130 acres of Dedicated Woodland and Plantations, Five Excellent Modernised Service Cottages. One of the outstanding features of the Estate and the district (see General Remark No.2 for a detailed description of the Walk) which the Vendor has in the past permitted the public to enjoy without charge and which is walked annually by a very large number of visitors, for whom the Gwynedd County Council are in course of providing an extended Car Park and Toilets. 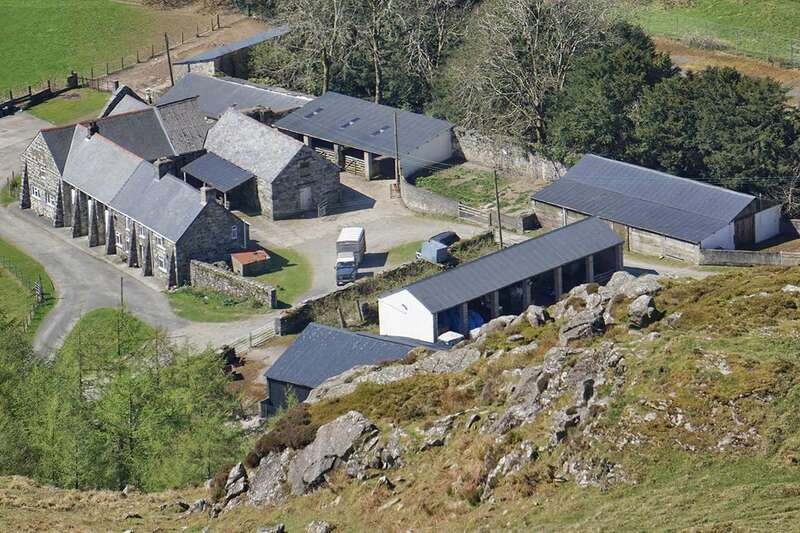 Nannau Home Farm comprises a balanced farming unit of over 2,000 acres carrying a herd (formed in 1953) of indigenous Pedigree Welsh Black Cattle (which are offered for sale at valuation) and five flocks of Welsh Mountain Ewes, each with a separate mountain (these acclimatised sheep stocks must be taken to at valuation). The Cattle all winter out their second winter and all calve outside, are well acclimatised and no females have been bought in for ten years. Breeding stock from this herd is sold each year and good “bunches” of maiden and in-calf heifers have gone north over the past three years. The Land varies from good quality pasture on the lower land to mountain grazing on the Rhobell, the lowland providing excellent summer grazing for cattle and silage for winter feed and also wintering for a large proportion of the sheep on the farm, thus avoiding the high cost of wintering sheep outside the area; the upland mountain grazings provide the essential summering for the hardy Welsh Mountain sheep. All the land is eligible for hill cow and hill sheep subsidies. 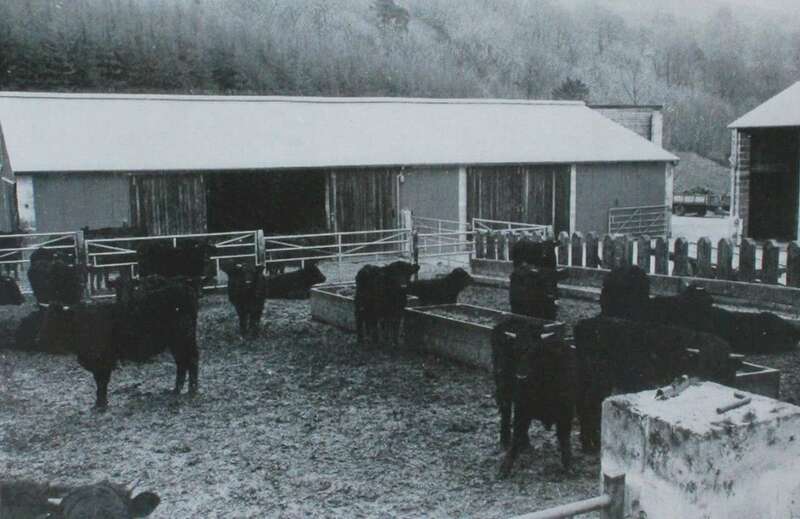 A Free Supply of Main Water is connected to cattle troughs in numerous fields to the north and south of the buildings which are adjacent to the Water Authority’s main traversing the farm from Llyn Cynwch. The Land forms a single continuous block for about 4 miles from north to south and is well served by public roads (shown in blue on the plan) through the lower land, the northern portion being predominantly hill and mountain grazing is served by adequate farm tracks. 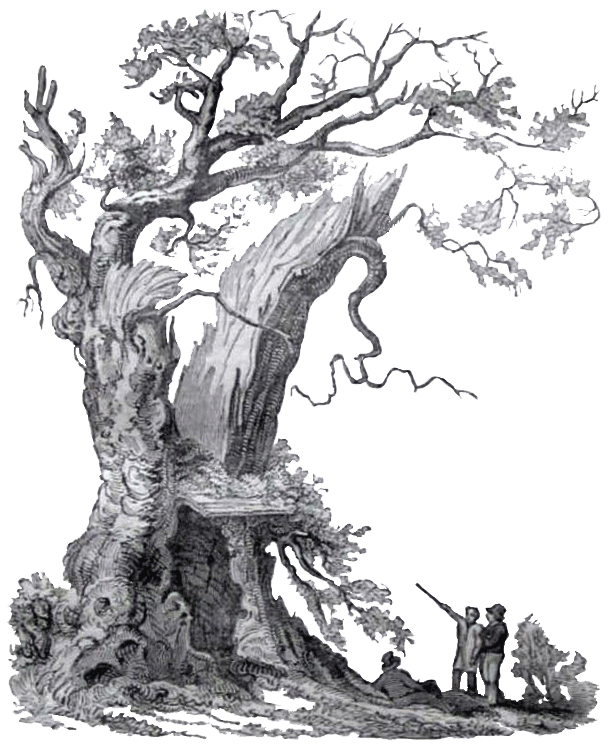 A fine high walled undulating Deer Park with Two Fish Ponds is incorporated on the south-east. Approximately 500 acres are pasture, 285 acres rough grazing, 1,190 acres mountain and 140 acres woodland, providing a useful source of timber for repairs and fencing. hard private road leading to a yard between the Modern Farmbuildings on the north and the Traditional Blocks of Buildings to the south which incorporate Two Cottages, The Estate Office and Two Garages. 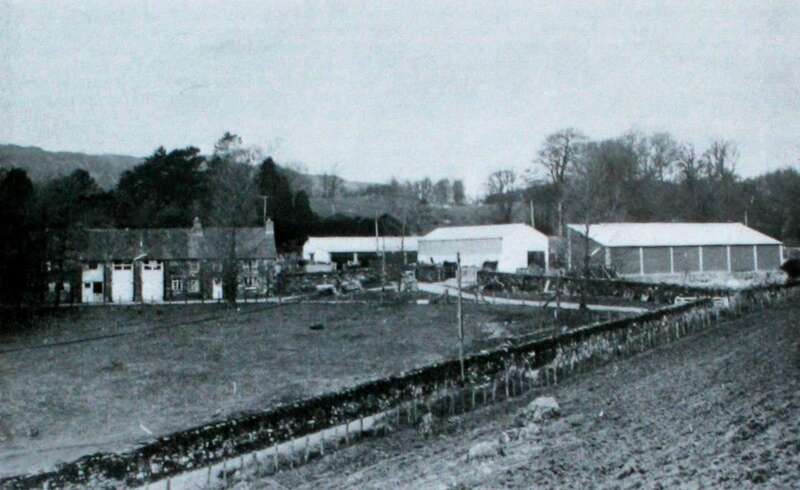 It is suggested that the front residential part of this complex would readily convert, by incorporating the Estate Office and Garages, into a FINE RESIDENCE FOR THIS LOT, but Purchaser’s attention is drawn to Maesybryner House (Lot 2) which provides a principal residence for the Estate, together with additional farmbuildings and further land (38 acres). The residential parts of the Traditional Buildings are of stone construction, part timber clad, under a slate roof, and are the result of an excellent conversion of an old farmbuilding to residential and office use.